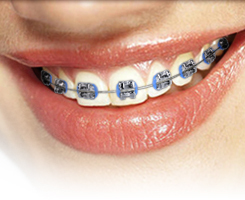 Metal braces are made of high-quality, durable stainless steel. They are the most common type of braces. The brackets, which are bonded to the front of each tooth, are connected by the archwire, which helps guide the teeth into the correct positions. 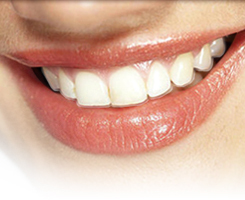 Today’s affordable metal braces are smaller, more comfortable, and more attractive. Now teens don’t have to worry about embarrassing metal braces in their yearbook photos or Facebook profiles – introducing Invisalign® Teen! We went to leading orthodontists, parents and teens themselves to custom-design an Invisalign system just right for the dental needs of teenagers. With a Blue Dot Wear Indicator to show how long each aligner has been worn, six free replacement aligners in case some are lost or broken, and other changes designed to accommodate growing mouths, Invisalign Teen is the perfect teeth-straightening system for today’s teens’ busy lifestyles!